Sometimes things happen with plumbing systems that necessitate pipe repair. 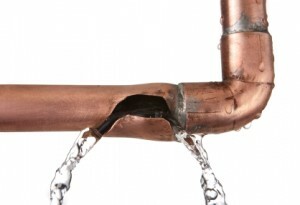 You might own an older home and want to re-pipe with updated plumbing, or you might want to switch to copper. Other reasons to call a plumber for pipe repair are when there is excessively low water pressure, rusty or yellow tinted water, or the water in the shower increases in temperature when a toilet is flushed or the washing machine is filling. Every homeowner wants to have a plumbing system that works for their needs. They don’t want to get scalded in the shower or experience low water pressure because several fixtures and/or appliances are all using the water system. Not only is it frustrating to have plumbing issues such as these, it can increase your utility bill thanks to wasted water. When water pressure is problematically low, it could be a result of pipe corrosion and rust on galvanized iron pipes. As the pipes increase in age, corrosion also increases gradually over time, so the flow of the water is restricted more and more as time passes. If the water that comes out of the pipes is tinted or rusty colored, it is another indication of corrosion in the pipes. If the corrosion is left unattended by a failure to re-pipe the lines, eventually it will wear into galvanized iron and cause the pipes to leak. Plumbing pipes are classified into two major categories, and these are plastic and metal. Galvanized iron pipes are primarily found in older homes built before 1970 and have been phased out in favor of the more popular plastic PEX pipe. Galvanized iron is a very common candidate for a re-pipe job. The galvanized iron pipes were zinc coated to prevent rust, but over time the zinc wore away leaving only uncoated iron, which rusted quickly with exposure to water. Copper is the popular choice in the metal category, and plastic also offers CPVC (extra chlorination) and PVC but PEX is generally favored because it handles both hot and cold water whereas PVC only handles cold. A licensed Arizona plumber such as Eagle Services in the Phoenix Arizona area can inspect your plumbing pipes and determine if your home is in need of a re-pipe. This is especially recommended if you are experiencing water problems like those mentioned above or live in an older home you suspect may have galvanized iron pipes. Your plumbing system should be designed to meet the needs of your entire family, and if it isn’t operating optimally at the right performance level, Eagle Services can pinpoint the problem and recommend the best and most economical way to remedy any issues. Call Eagle Services for all of your plumbing needs including re-piping, testing and diagnostics, Phoenix emergency plumbing, leaks, clogged drains, and much more. We are the preferred plumbing, electrical, and HVAC provider in the Phoenix and Gilbert Arizona area. Our staff is on call 24-7, 365 days a year so you can get help when you need it. Call Eagle today at 602-354-3648.